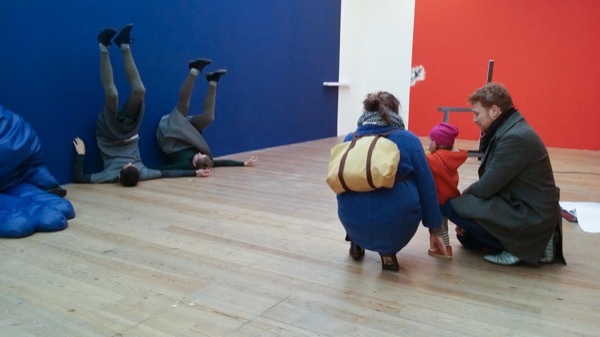 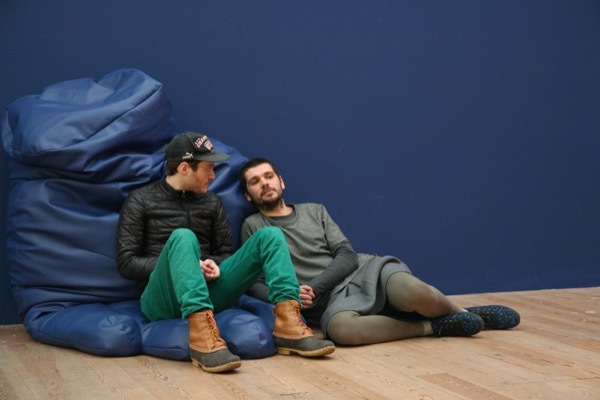 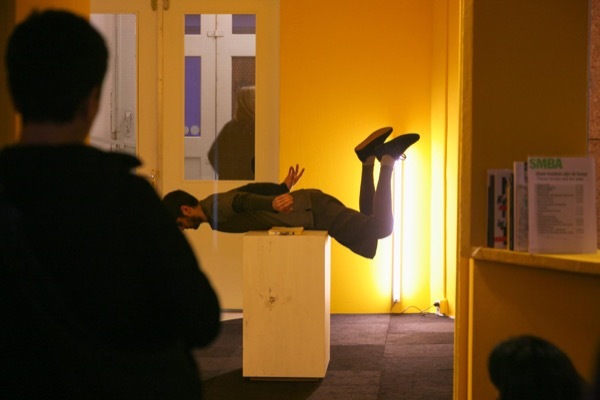 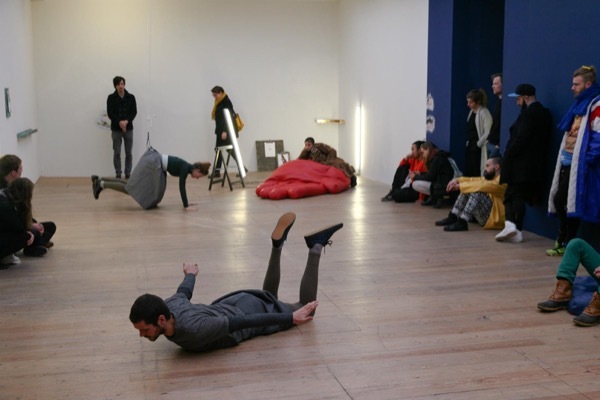 This performance was created as a site-specific piece to be presented at the SMBA in Amsterdam, taking as stage the existing exhibition by Antonis Pittas “Hold On”. 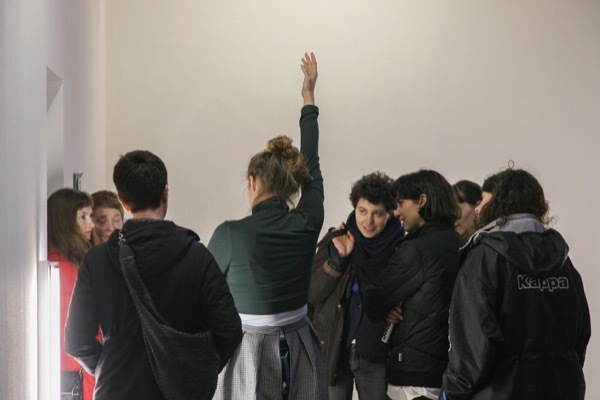 The piece was ongoing during the opening hours of the space for one day. 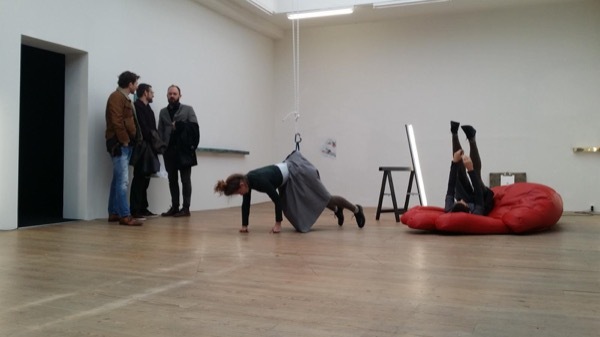 The performers made use of body postures and movements at the same time that they addressed the audience and explained stories related to falling into thoughts, lack of orientation, lack of control, etc., all of them in relation with the idea of free falling.